Don&apos;t let holiday gift giving overwhelm you this year; there are so many wonderful shops in town with the perfect gift for the people in your life. We have rounded up some of our favorite gift ideas to help check a few more things off your list. And don&apos;t forget to Shop Small on Saturday, November 25. For the fashion historian or vintage enthusiast in your life, check out Cactus Flower for beautiful baubles and curated collections of vintage fashion. 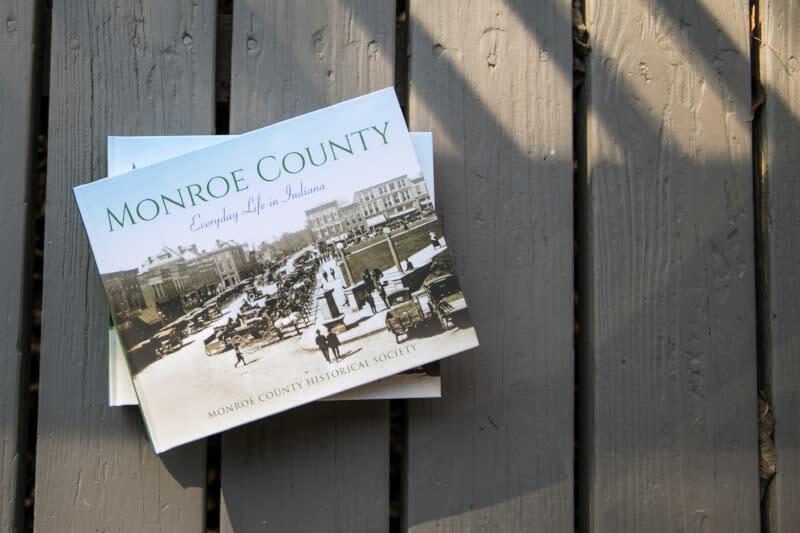 For the history buff on your list, check out the new coffee table book entitled, Monroe County: Everyday Life in Indiana in our Btown Store. 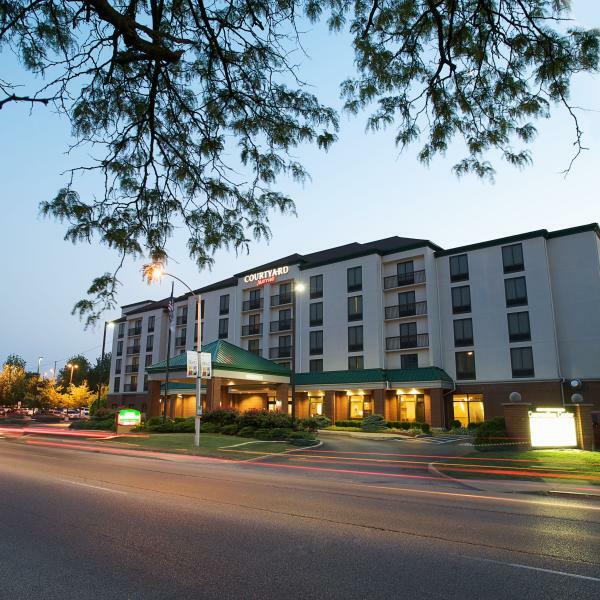 Compiled by the Monroe County Historical Society, the book features fascinating photographs of the area over the years including historical photos from Indiana University. Bonsai Trees from May&apos;s Greenhouse are perfect for the gardening enthusiast on your list. They offer several hardy and tropical varieties, tools, pots and more. They even offer periodic Bonsai workshops for people new to the art. 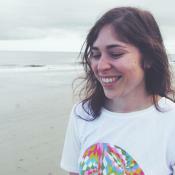 Fair trade goodies from Global Gifts are always a winner. 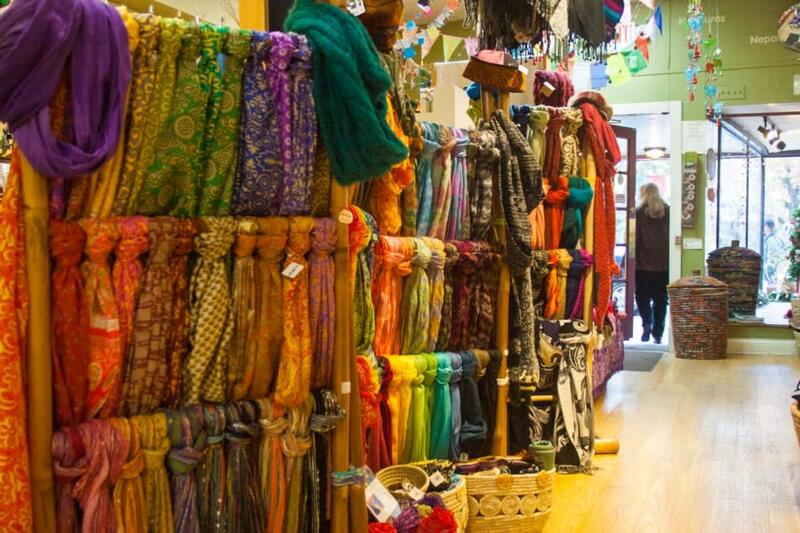 Their beautiful collection of scarves, blankets, ornaments, and other accessories are perfect for the holiday season. If you have a craft beverage enthusiast or hostess extraordinaire on your list, Cardinal Spirits and Upland Brewing Co. have you covered. Choose three of your favorite spirits (375 ml bottles) to complete your Cardinal Spirits Holiday Pack. 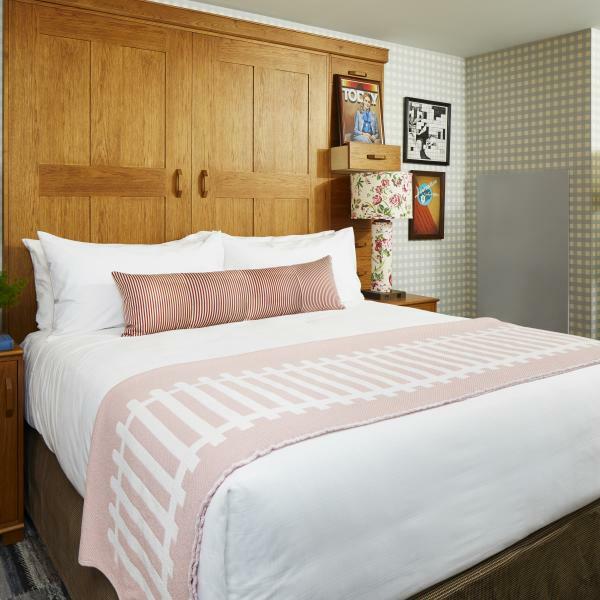 They also have spiked coffee sets with Songbird Coffee Liqueur and two glasses as well as Moscow Mule kits complete with copper mugs and their classic vodka. 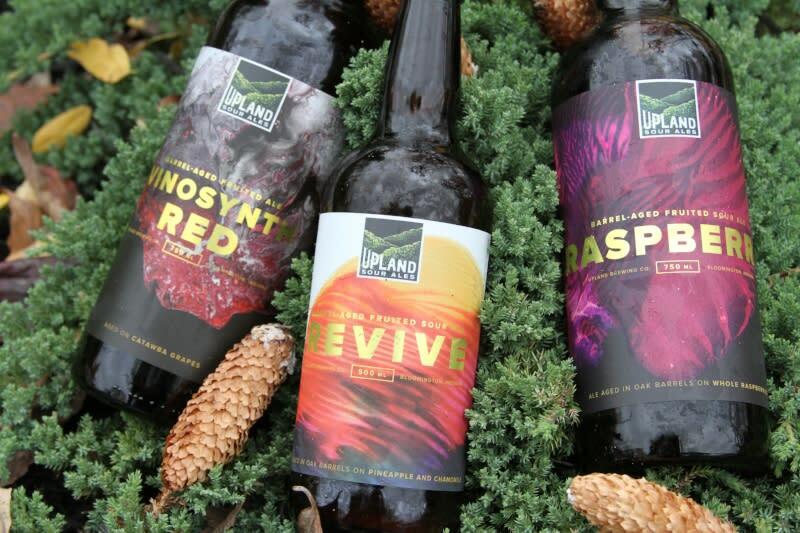 Upland Brewing Co.&apos;s gift packs are back again this year featuring their award-winning sour ales and their logo tulip glasses. 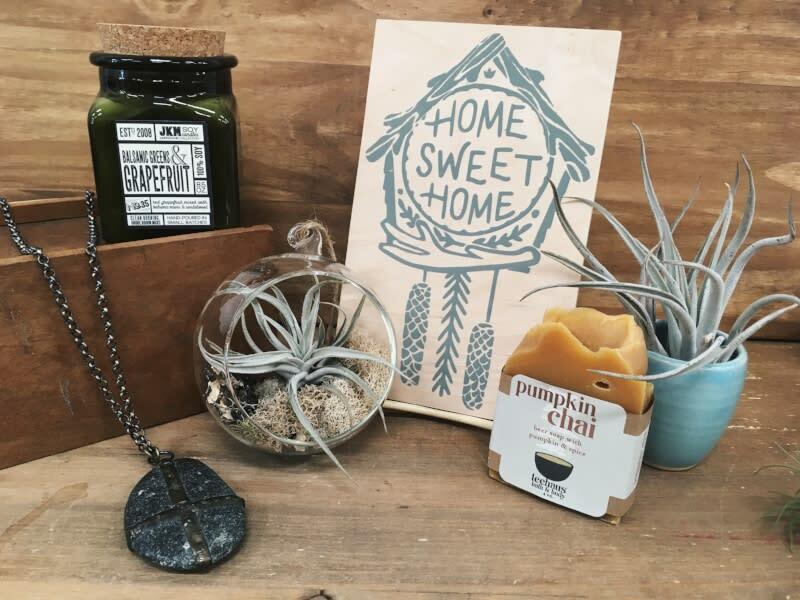 For the stylish homebody, check out this housewares gift set at Gather. All of the items are made in the tri-state area (Michigan, Ohio, and Indiana) and will keep your home looking fresh and feeling cozy. For the vinyl collectors and music nerds, visit Landlocked Music for new and vintage vinyl. Check out their list of special releases for Black Friday. They also have wooden crates you can purchase to store all your new LPs. 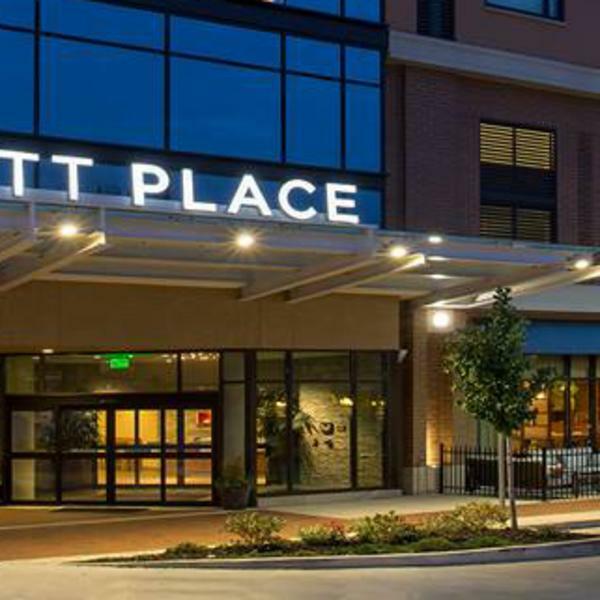 Skirt & Satchel&apos;s grand opening in Fountain Square Mall is Friday, November, 24 at 10 am and we can&apos;t wait. 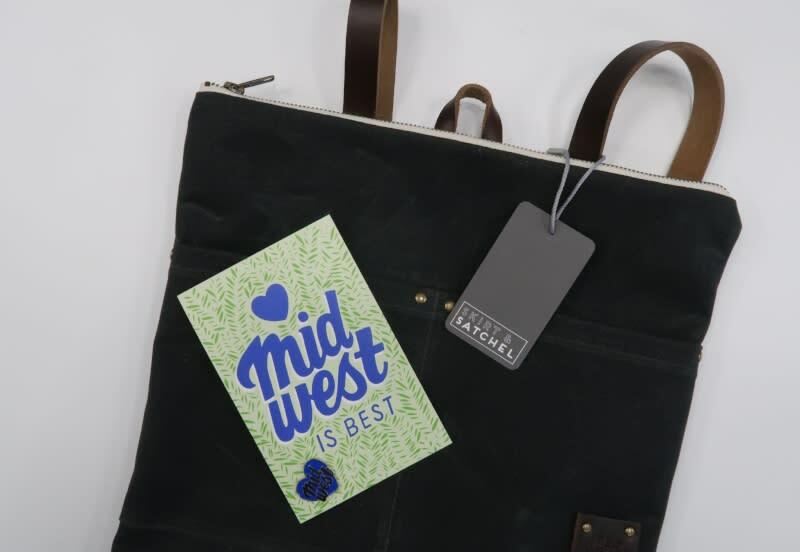 They have tons of gift options available but we&apos;re especially loving this durable canvas backpack and "Midwest is Best" enamel pin. FARM Bloomington has a great gift basket collection perfect for the curious epicurean on your list. We&apos;re big fans of the Breakfast of Champions basket complete with real maple syrup. 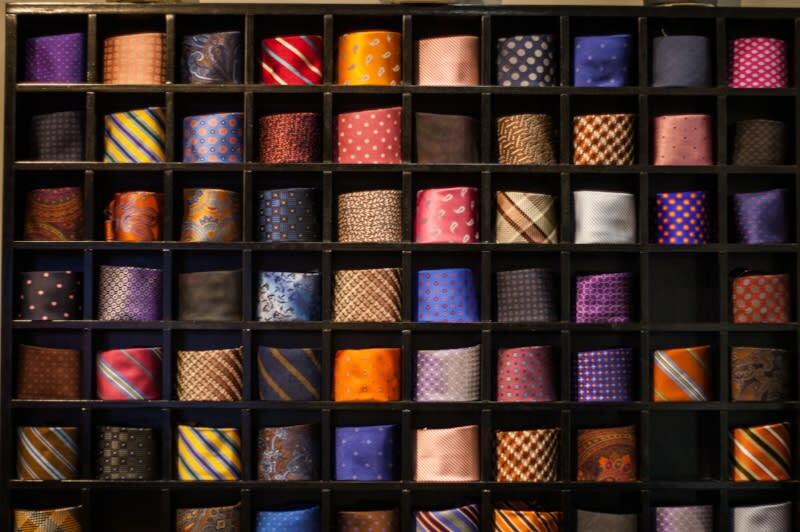 For the dapper dresser, visit Andrew Davis Clothiers for the most beautiful collection of ties and other men&apos;s apparel. 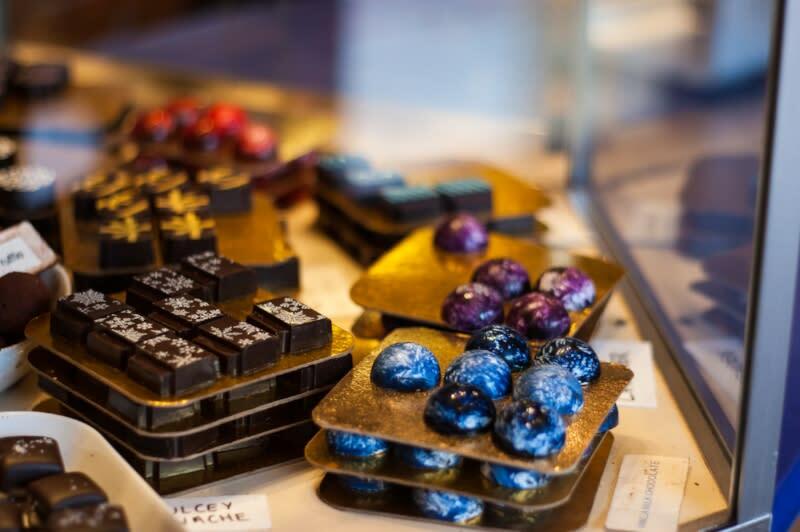 Have a chocoholic on your list? Give the gift of chocolate truffles from Blu Boy. 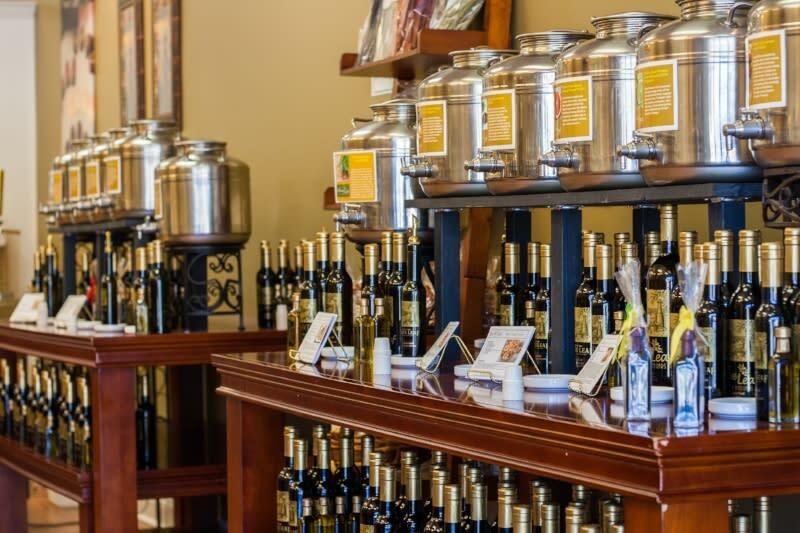 The Olive Leaf features a tasting gallery featuring fresh extra virgin olive oils, exquisite aged balsamic vinegars, and gourmet specialty oils from all over the world. Find the perfect set of oil and vinegar for the gourmand in your life. Color your favorite campus landmarks in the adult coloring book in the Color Your Campus - Indiana University. The Btown Store has a new collection of all things Bloomington and cream & crimson. Every Hoosier needs a pair of the classic candy stripe pants. There&apos;s nothing like seeing IU Basketball in Simon Skjodt Assembly Hall! 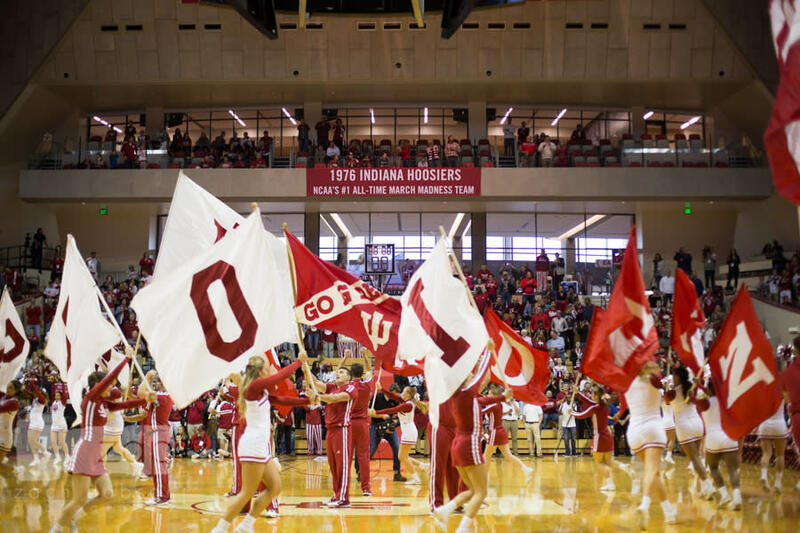 Women&apos;s Basketball tickets are a great gift for IU alums or future Hoosier hopefuls. Every planner needs a notebook. We love Moleskine notebook collection at The Book Corner on the square. Serving pieces make a great gift for the ultimate host. 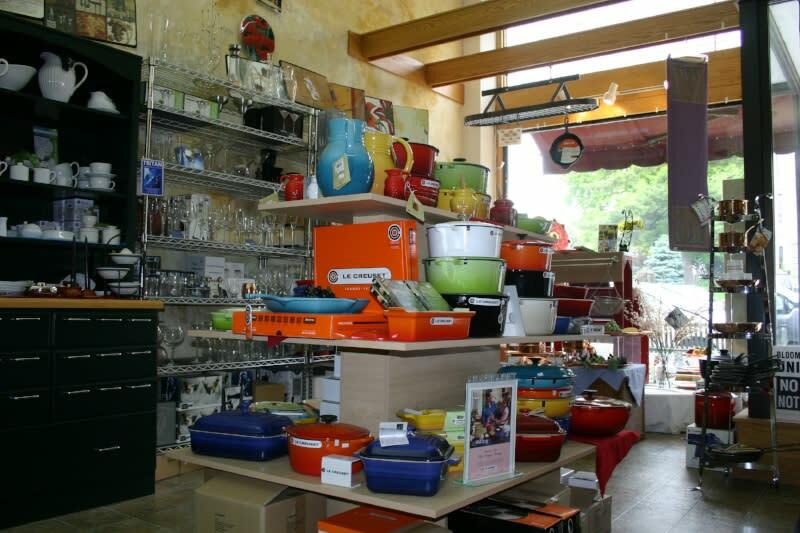 Goods for Cooks has you covered with unique platters, tea towels, cheese boards, dishes, and more. 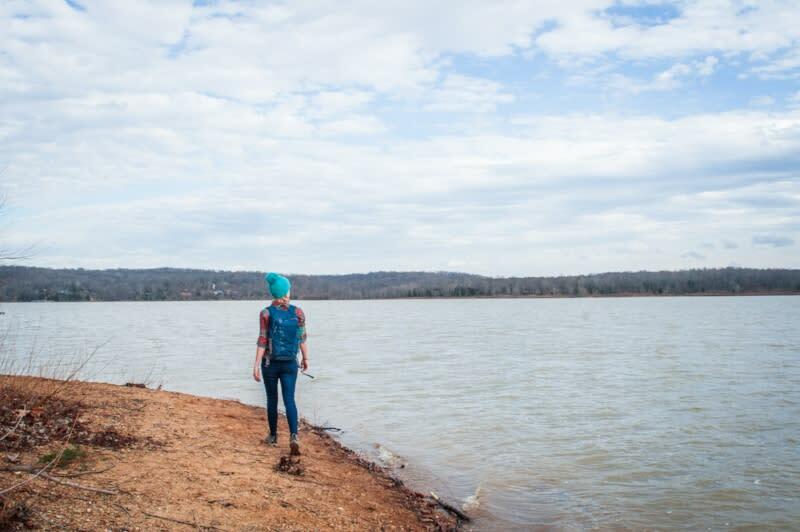 For all things outdoors, head to JL Waters on the square. They have a huge collection of men&apos;s and women&apos;s apparel and gear. If your camper needs an upgrade, check out their sleeping bags and hammocks. Interested in climbing? Get a year membership to the IU Outdoor Adventures bouldering wall or a membership at Hoosier Heights climbing gym. If you&apos;re interested in building up your outdoor gear, check out the IUOA annual used gear swap! 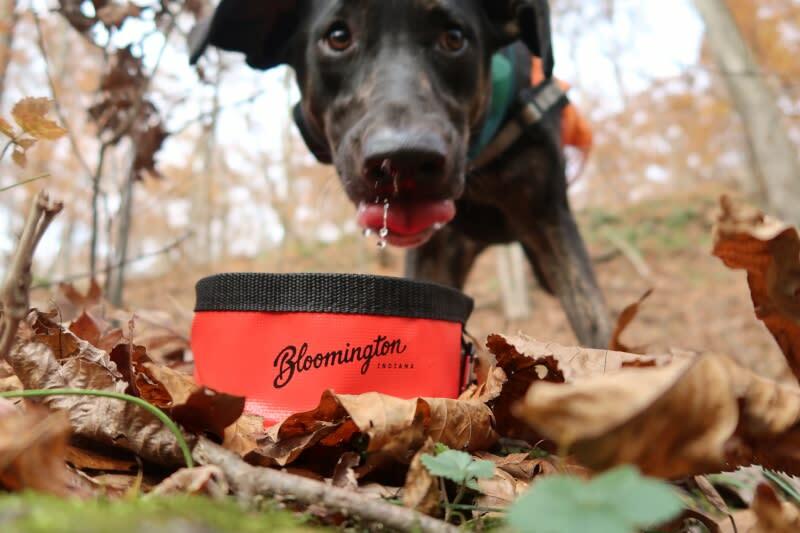 If your pups love to go hiking with you, don&apos;t forget to pick up one of our traveling dog bowls in the Btown Store. It even comes with a mini carabiner for easy carrying. For the adventurer that sticks close to home, check out the Indiana DNR Annual State Park Pass. This pass is good for one calendar year and provides entry to all State Parks and state-managed lakes like Monroe Lake at Paynetown. 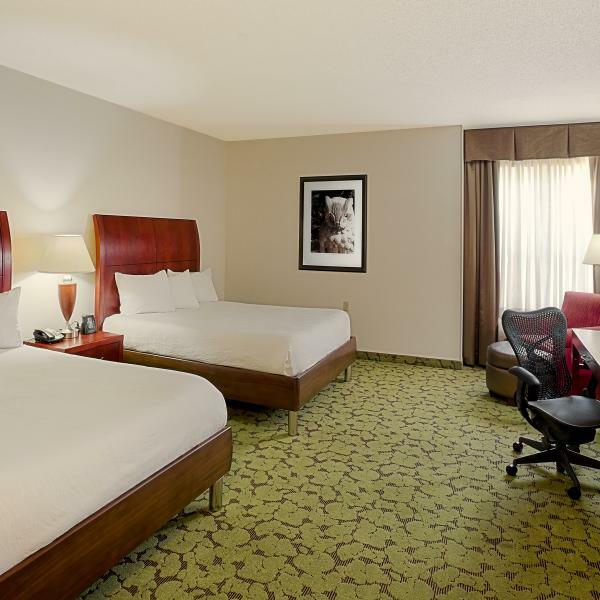 If you don&apos;t have a pass yet, there free admission for all of these properties on Black Friday in case you need to work off Thanksgiving dinner. 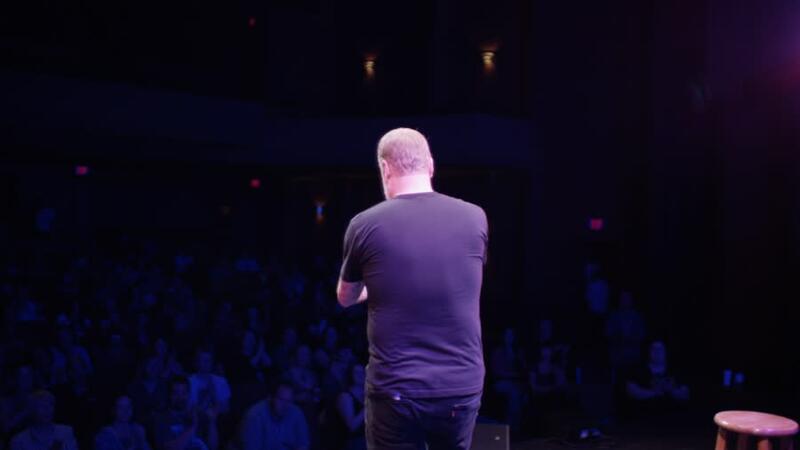 Need the perfect gift for the comedy fan in your life? Check out the Comedy Attic punch cards available in 10 or 5 admissions. For the festival lover that already has everything, you can donate to Bloomington&apos;s annual Lotus World Music and Arts Festival to ensure their festival continues to thrive. 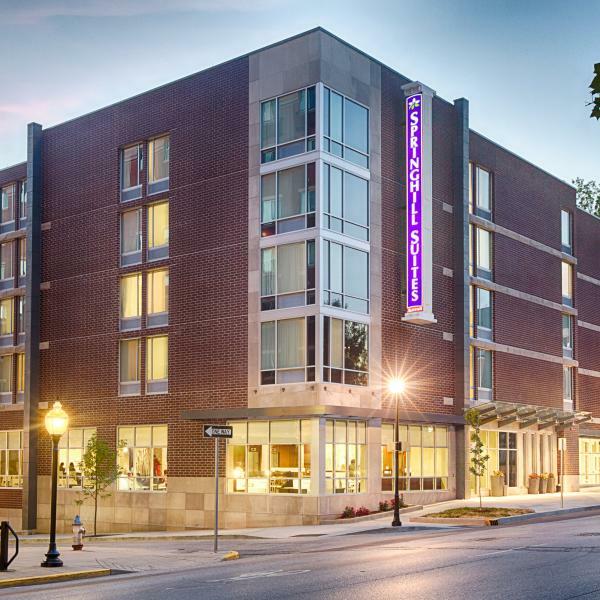 Season tickets to the Cardinal Stage Company, Bloomington Playwrights Project, or IU Auditorium is the perfect gift for performing arts lovers. Subscribing allows you to take advantage of priority seating, no lines, loyalty points and more. Don&apos;t forget to shop small this Saturday for Small Business Saturday! Bloomington Brick + Mortar is also hosting Holiday Hike, a shopping event in early December with refreshments, live music, and giveaways.